It’s easy to panic and forget important steps, even if you’ve been in an auto accident before. Unfortunately, making mistakes after a car collision may jeopardize your claim. One way to make sure your legal rights are protected is by working with a car accident attorney . An accident attorney in Burnie can help you learn about the steps you need to take, such as exchanging the right information with the other driver. Then, the car accident law firm can contact the insurance company and handle the claim for you. After a collision, one of the most important things you need to remember is that it’s illegal to leave the scene of an accident, even if it seems like a minor fender bender. It’s your responsibility to pull over and check to see if anybody is injured. Many people try to handle arrangements with the other driver themselves, rather than call the authorities and work with an accident attorney. This is never a wise decision because making a “gentleman’s agreement” does not protect your legal rights. For example, there is always the possibility that the other driver doesn’t even have insurance. You should always call the police after a car collision and insist on filing a police report. Your accident attorney in Baltimore will use the police report, along with any other evidence, to substantiate your claim. It’s necessary to speak with the other driver to exchange certain information. For example, you’ll need to obtain the driver’s name, contact information, driver’s license number, VIN, make and model, and insurance information. You’ll also need to obtain the names and contact information of any witnesses, take photos of the damage and the scene, and document any injuries. However, when speaking with the other party, many drivers make the mistake of talking too much. Never apologize for the crash or make any other statements that could indicate fault on your part. Another mistake many drivers make is to try to handle the insurance claim themselves. It’s a safe bet that the insurance company won’t offer you just compensation. You need the help of an experienced negotiator on your side. 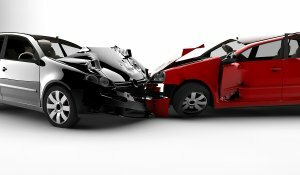 A car accident attorney can help you obtain the money you need to cover your losses. If you’re like many people, you may be tempted to accept the first offer you get from the insurance company so that you can pay your medical bills, repair the damage to your vehicle, and move on with your life as quickly as possible. Unfortunately, it’s difficult to move forward when the insurance company hasn’t offered you fair compensation. This is one reason why it’s essential to work with an accident attorney following a collision. A car accident attorney will review your case during the initial consultation. The attorney at law will ask you questions about how the crash occurred and offer you a general assessment of the strength of your case. Once you hire the accident attorney in Baltimore, he or she can thoroughly investigate the matter and use any evidence to negotiate with the insurance company on your behalf. In the event that the insurance company still does not offer just compensation, your lawyer can represent your interests in the courtroom. Did you know that back pain is one of the most common health complaints? It contributes to countless lost work hours, not to mention medical bills and chiropractic visits. Following a few simple tips can reduce the risk that you’ll develop back pain from your occupation. 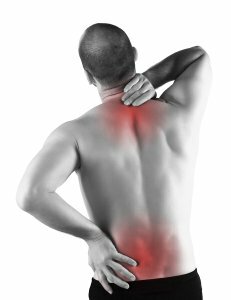 In the event that back pain does develop, you should contact a workers’ compensation attorney promptly. A workers’ compensation attorney near Baltimore can ensure that your claim is filed properly and that you receive the compensation you deserve. If your injury is serious, your personal injury attorney can also help you file a temporary disability claim. You probably already know that lifting with your legs, not with your back, is crucial for preventing back pain. However, everyday posture also affects your back health . Use an office chair that provides lumbar support. Adjust the height so that your feet are flat on the floor and your thighs are parallel to the floor. Try to avoid slouching or leaning forward excessively. You can adjust the height of your computer monitor so that it is level with your eyes. Many people perform repetitive tasks while at work. In fact, repetitive strain injuries are a common reason for visits to a workers’ compensation attorney in Burnie, MD. Look for ways of modifying your activities to reduce excessive strain on your spine. For example, if you talk on the phone frequently, use a headset. This will prevent you from craning your head to the side to cradle the phone against your shoulder. Additionally, try to get up from your workstation and stretch or walk around for a little while. Exercising regularly is one of the best ways to keep your back—and the rest of you—healthy. Aerobic exercise can help you achieve or maintain a trim figure, which reduces strain on your back. Try to fit in at least 150 minutes of moderate intensity aerobic exercise each week. Remember to include a few strength training sessions in your weekly routine. Strengthening your abdominal region can support your back health. Handling an auto accident is never easy. It’s best to work with an experienced accident attorney, particularly if you have suffered from auto accident injuries . An attorney at law can safeguard your legal rights and negotiate with the insurance company on your behalf to obtain maximum compensation. As you’ll learn by watching this video, one way in which an accident attorney can assist you is by investigating the incident thoroughly. Collisions are often chaotic scenes and it’s common for important details to be omitted from police reports. An accident attorney in Baltimore can obtain additional statements from the involved parties and interview witnesses. This information can be critical in determining liability for the collision and obtaining compensation for your losses.